Reverse mortgages are available to homeowners who are over the age of 62 years old, who either own their homes outright or have significant equity in the home. Homeowners who take out reverse mortgages are not generally expected to repay the money they receive as part of the reverse mortgage. The homeowners are expected to make payments on insurance and property taxes on the property. In some cases, the homeowner who has taken out a reverse mortgage may not be able to keep up with property taxes and insurance payments, or may forget to make these payments. Failure to keep up with these payments can also mean the homeowner will lose his home before he passes away. Reverse mortgage contracts may have terms that make the failure to maintain the home and pay property taxes a default on the mortgage that could trigger foreclosure. This is one reason reverse mortgages are not advisable for homeowners who may not understand the risks involved. Homeowners considering applying for a reverse mortgage should always consult an attorney before signing up. Although the offer to receive cash for the equity in the home sounds appealing, the contractual language may differ from the promises made in negotiations with the lender. The threat of foreclosure does not end with the homeowner’s death. Generally, full repayment on the mortgage loan is often deferred until after the homeowner’s death, unless the homeowner moves out of the home. Once the homeowner passes away, this is when the homeowner’s heirs face the possibility of foreclosure. After the homeowner’s death, the reverse mortgage loan balance becomes due, along with interest and other fees. If the homeowner’s heirs want to keep the home, they may be able to pay off the amount and regain ownership of the home. The heirs may also be able to purchase the home from the lender, or negotiate and refinance the mortgage in order to pay it off over time. A spouse of a homeowner who takes a reverse mortgage may also find himself in trouble if he was not included in the paperwork for the loan and is not on the deed of the home. There are some protections for spouses, but it is still possible for the spouse to lose the home in a foreclosure. If you are in danger of losing your family home to a reverse mortgage foreclosure, or to learn more about reverse mortgages and how you can handle a reverse mortgage foreclosure, you should contact an experienced foreclosure attorney. 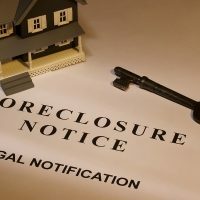 Contact us at the law firm of Louis S. Schwartz, Attorneys at Law to speak to a Philadelphia foreclosure defense attorney and fight the HOA foreclosure.